Women used to be the master brewers (brewsters) in years gone by and they made damn fine beer. In medieval times, brewing was women’s work and they made beer as part of the family’s food. In fact once a child’s baby teeth (milk teeth) fell out, they were switched from milk to beer. In modern times, women have returned to brewing in a significant way, becoming the modern brewsters in the most famous of beer regions – Belgium. Brewing has a history that dates back around 5,000 years and although no one knows how it came to be invented or discovered, there is evidence of the brewing process in the remains of tombs in Egypt. Brewing was sacred, related as it was to the gods themselves – Hathor, Osiris, Ra and others all had a part to play in making beer. Temples to the gods in Egypt became breweries, a practice that continued into modern times with religious centres making beer all over the world – including Belgium of course! 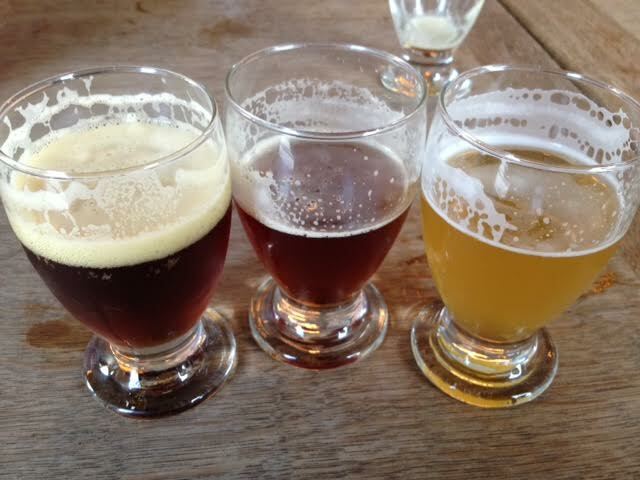 Belgium is the current spiritual home of beer with beers brewed in monasteries, family breweries and large factories. Sadly most monasteries are not open for tours so their beers can only be enjoyed by those lucky enough to buy them. I was, however, in Flanders to learn about women in brewing. I travelled around three cities in Flanders to discover more about women in brewing – Ghent, Mechelen and Leuven. 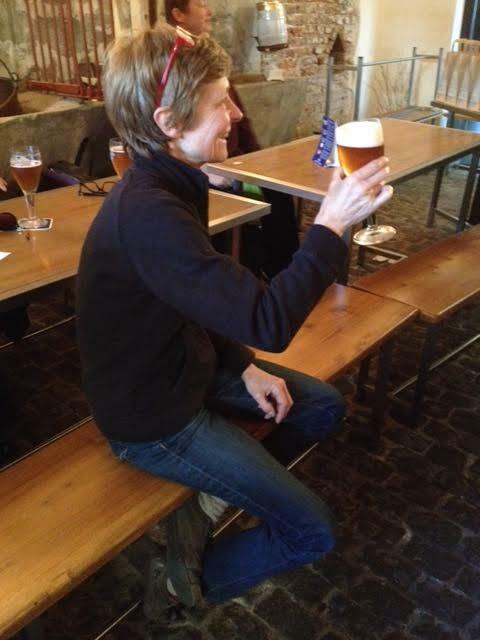 For so many reasons, Mechelen was my favourite though I met my first woman in brewing in Ghent. In Ghent we did the VIZIT Nibbling tour of Ghent where we visited Daskalides Chocolate, ate Ganda Ham and Tierentyn Mustard in the Groot Vleeshuis ( Great Butchers Hall) and got to try typical sweets from Ghent at Temmermans sweetshop. 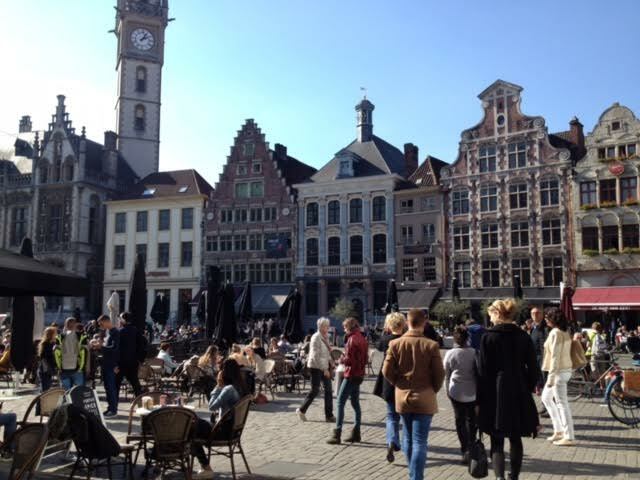 This is one of the best ways to see Ghent and I am so glad we did it. The history in the area is amazing whether the stories about gin being banned until very recently or the way the neighbourhoods have changed, it was the best way to see Ghent. 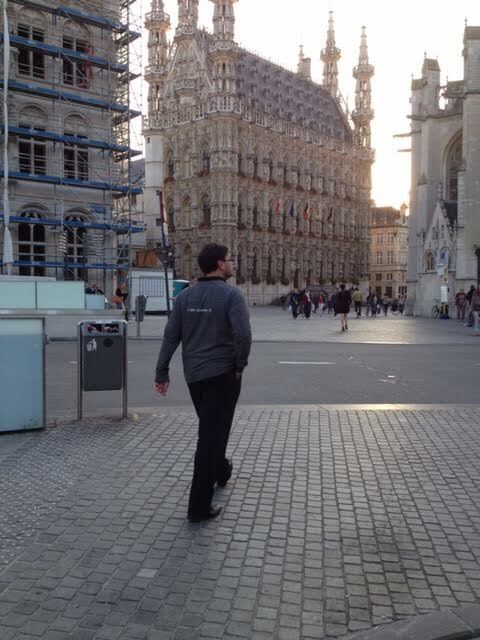 The best of Ghent was, however, yet to come! As she stood on a table in jeans, a ripped t-shirt and cowboy boots in Ghent, we were given a lecture by Annick de Splenter and her relentless pursuit of making beer with different botanicals than the usual hops. 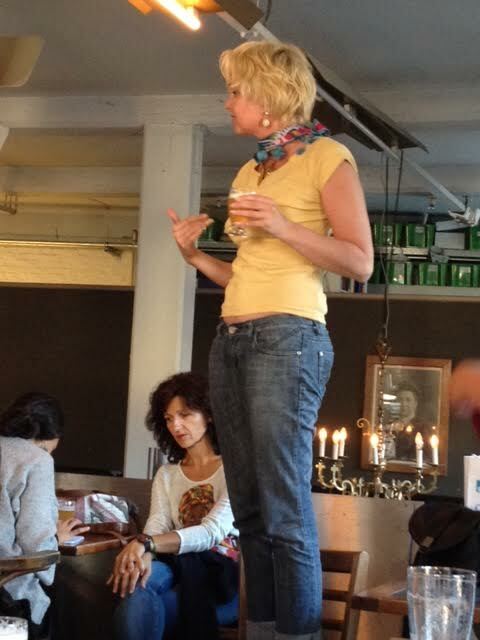 She worked hard to use botanicals to lift the beer and bring interesting other flavour notes out. She says her beer reinvigorates rather than making people sleepy (as hops will). Her efforts were so unique that she received an EU grant to research and make her beer work. We experienced far too few of her botanical beers from her GRUUT brewery. Having already filled up at Balls & Glory (magnificent meatballs), we downed five different beers (we swallow in the beer world apparently), and most of us were at this point struggling. We moved along for the night to the PARKHUIS restaurant before heading towards Mechelen. Ghent is a beautiful city though and it makes an excellent place to start your travels around Flanders (after Brussels where the Eurostar drops you). There used to be over 100 breweries in Mechelen and yet now they have dwindled. Everyone from Beguines to brewsters and brewers were making beer commercially (although Beguines were not supposed to 😉 ) Coming from a long line of brewers, the first brewster in modern times was Ann de Ryck running her family’s De Ryck brewery. Her father didn’t want her to take over but ever the rebel she did, and continues to run the brewery today with her children both getting involved as well. Fabulous beer to start the day at around 10:30am we indulged in a breakfast beer of *only* 5.5% (ONLY)! Her beers were amazing but we were soon gone and travelling on to our next destination. It’s worth a stop here in the wood panelled and warm tap room and see if you can get some of their amazing bread too. 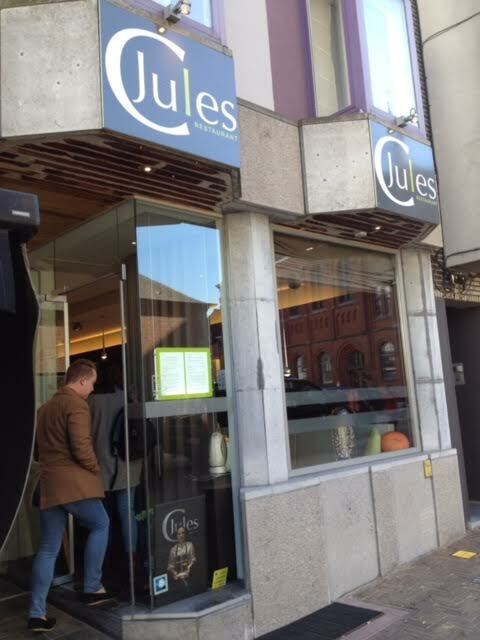 We had lunch at C Jules which was an experience. Not only did I eat brains for the first time ever but the lunch was absolutely gorgeous. One of the featured chefs of Flanders, her small eatery of haute cuisine (I think) was an experience. You’d never find it on your own sadly but make sure you make time to find it and experience the amazing regional beer with her brilliant cuisine. 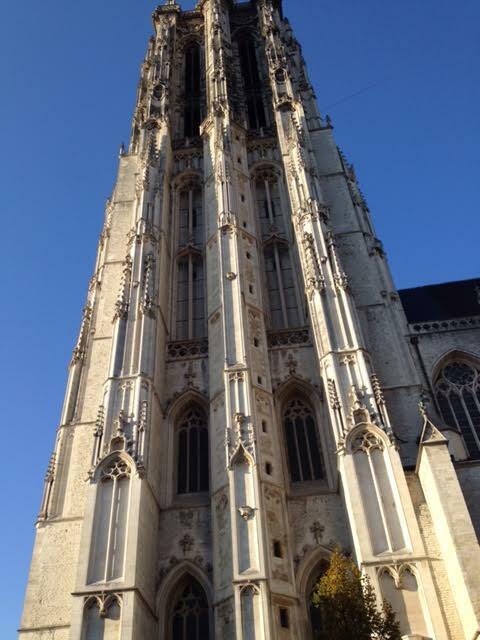 We moved on and after eating brains for lunch (among other things) at C Jules we had the opportunity to learn even more about Mechelen while walking to St Rumbolds tower and climbing the 538 steps up the tower (which you can do too)! Once we clambered back down (it is worth the climb), we headed off to my favourite brewery of the trip. 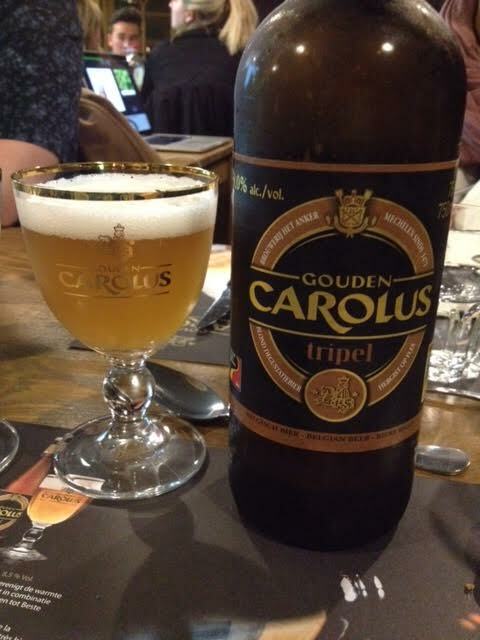 The Het Anker Brewery in Mechelen is home to Golden Carolus. 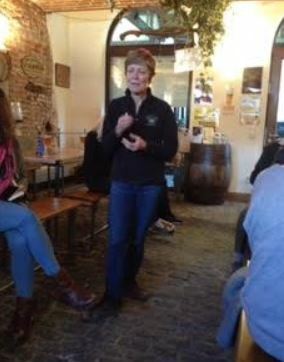 They have some amazing beers here as well as a still youthful but smooth whisky and we settled down after our workout to listen to Sofie Van Raphelghem teaching us about the full history of women and beer. 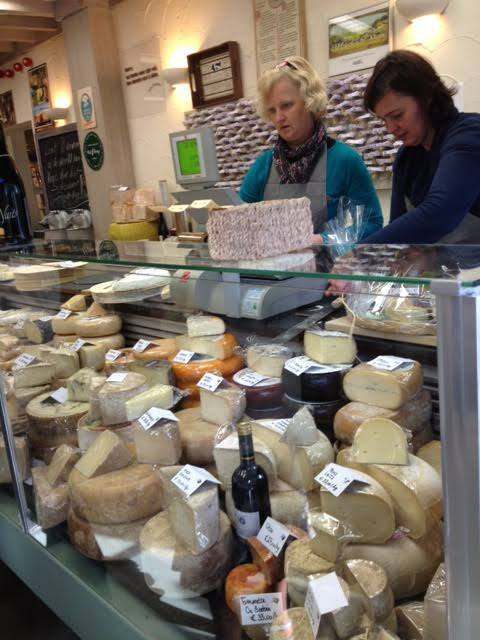 The next day we were able to walk around town, sample cheese soaked in Carolus beer, and follow a free tasting and experience guide you can get from the tourist information offices, as well as shopping the Saturday market. While you might not be able to replicate the talk, you can do everything else around Mechelen and I encourage you to do so even if it is your only town in Flanders. 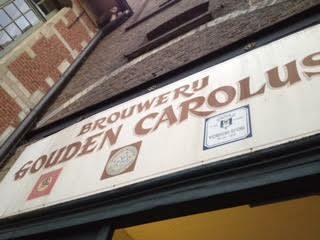 You can even stay over at the Carolus brewery. 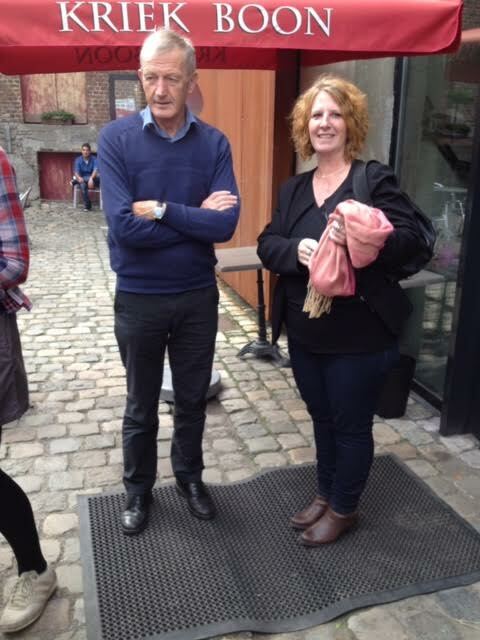 We travelled on to the De Kroon Brewery for a tour were we were met by Professor Freddy Delvaux who is one of Belgium’s top Zythologists. Did you even know that was a thing? Nope, neither did I but this little brewery is a great place to visit if only for the outdoor beer patio and museum of brewing. 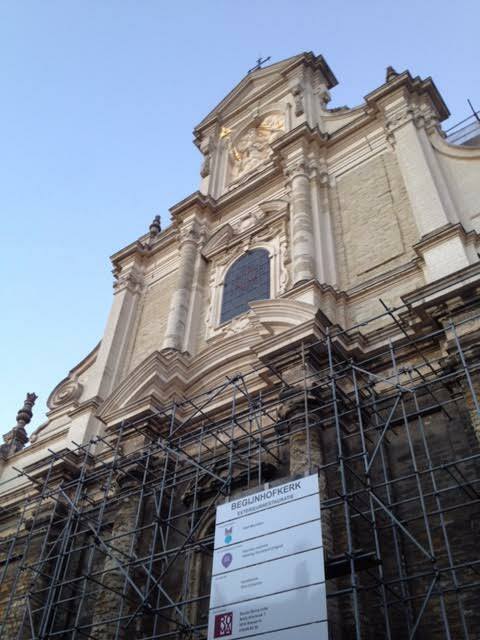 We then travelled to Leuven to find out more about the city with a pub walking tour with Leuven Leisure and to eat at the Kokoon restaurant. We also went to meet ex-Pierre Marcolini chocolatier Patrick Aubrion in his shop called Antoine chocolatier where we paired beer and chocolate. Probably the most fascinating stop was the museum stop where we tried probably the darkest beer I have ever tried. The beers were all unique (shall I say) but I did learn that lambic is just a bit too full on for me. I was probably never going to investigate Flanders because I only have a small amount of French and no Flemish and was scared of the language barrier but there was none. Everyone in Flanders I met was amazingly fluent in English and the experience of the breweries was absolutely worth it. I have a new respect for the efforts of women in brewing and I hope the revolution of women getting back into brewing continues and I hope that the word “Brewster” is reintroduced into the dictionary to mean “female brewer”. One of my favourite countries – and in no small part due to the beer! What an interesting tour (and I’m not at all jealous! ).